The LG KU990 Viewty looks like one of the big success stories of 2007 - some 310,000 units have already been sold in the five weeks it has been on sale, LG said today. In fact, it has even sold out in many shops in the UK and Europe. It has also sold better than previous LG hits, LG Chocolate and LG Shine. Dubbed an Apple iPhone 'killer', the LG KU990 Viewty combines powerful technology and plenty of useful features in a stylish handset sporting a 3-inch, full touchscreen. The 5-megapixel camera features are some of the best we've seen in a mobile phone, featuring excellent image editing functions as well as settings to adjust the size of images, picture quality, ISO and white balance etc. It can also shoot video at 120 frames per second, which allows you to slow it down and watch it in slow-motion when you play it back. There's also high-speed HSDPA 3G connectivity, and a built-in MP3 player. 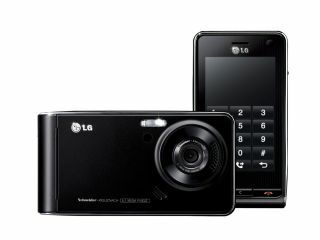 LG also announced that the LG KU990 Viewty has been awarded the 2008 iF product design award, emphasising its "harmony of high technology and sensational style".